Later EDITS: I'm finding it quite hard to continue this after that challenge. I've found I actually prefer pixeling my way, but this was made using a lot of fancy mirrors and filters. It was fun at first, but I'm getting quite tired of it. I hate to do this, because I haven't finished any texture pack I've started, but I think I'm going to... discontinue this. Try my hand at making a 32x32 pixel-art pack, see what I can do. Sorry to say, there isn't a chance of me changing my mind on this. I don't make these for the approval of others, I make them for fun, and it's faded from this pack. My apologies to anyone that was looking forward to this. I don't know what to do with any other blocks, I keep failing at them. It's quaint, really. Brilliant I may even say. Love the green tints, would have nether (youseewhatididthere?) thoguht of that myself. Make some mossy cobble, Sera, it will be a good start, seeing as you already have the cobble. Hmmmm. I'd give Netherrack a deeper contrast to bring out the 'rocks' in it - I like the green tint, though. Creative! 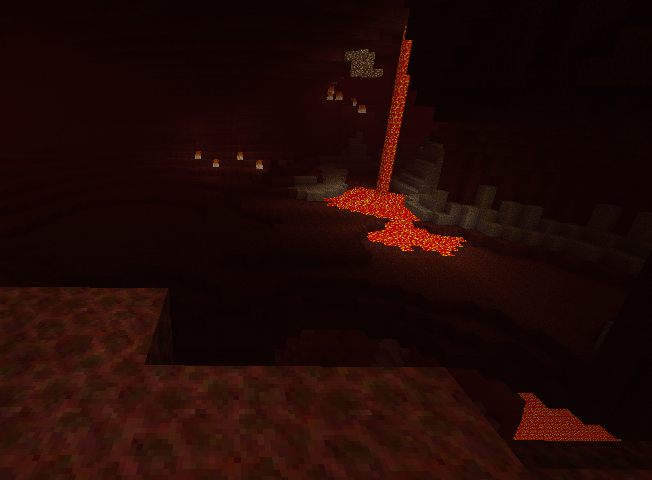 At the moment it kinda looks like lava, lol. This pack is golden, but I'm not too fond of the planks with nails in them, they seem a bit sloppy compared to the rest. EDIT: I made a darker, more contrasted netherrack that might fit your wants. I don't really have any other ideas for what to do with planks. I don't really want any 2 kinds to be color-swaps. If you have any ideas... maybe...? I'm glad you like the cobblestone. 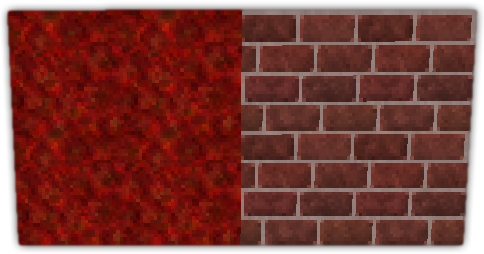 That was my most iffy texture. I fixed up Netherrack and made stone brick, mossy stone brick, and mossy cobble.I already fixed the bottom row on mossy cobble. Thanks for digging in for something! I can usually see tiling issues if there are ones, though. I assume you mean over-the-top unnecessary kinda sense(?). I can see how the planks may not be up to par, they've always been the easiest for me to do, even when I made terrible ones. I assume they are for everyone, but it kinda takes away the whole "trying to make them better" aspect of it for me. I can work on some new ones today. And yeah, I agree - the wood looks like pipes with nails in them.. I only get that vibe from the Jungle and Teak ones, though - the ones to the right look fine. Uhh. right... teak...__________Teak is the dark wood, right? I did post the new netherrack along with mossy cobble and mossy stone brick. Exactly :3 And those Stone bricks are great, the one thing I would critique on this post is the mossy cobble. 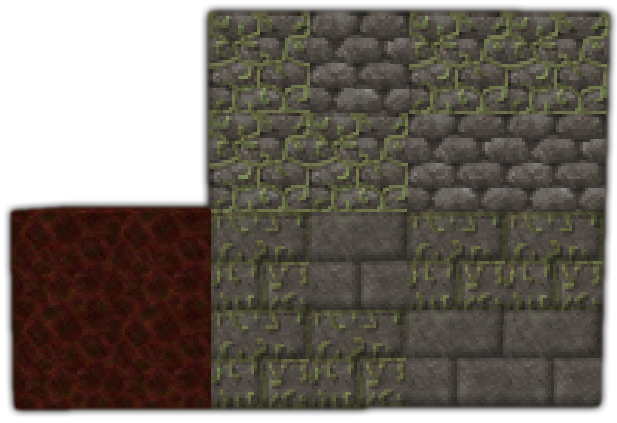 the straight line at the bottom of the texture is obvious and will most likely get annoying. I would critique your lack of reading. :3 (There were words in the spoiler ) Not to be a ****. I will change them eventually, it's just always the first thing I do in a pack, and I don't want to return to it. I don't even really know why. Whoops, I usually skip over the words if it seems like a list of what people have made :S Then everything fine! You should read more, I don't really do that too much anymore, I don't think.